Just a quick post tonight with a card I made today for the latest Hero Arts Challenge - Clean & Simple. 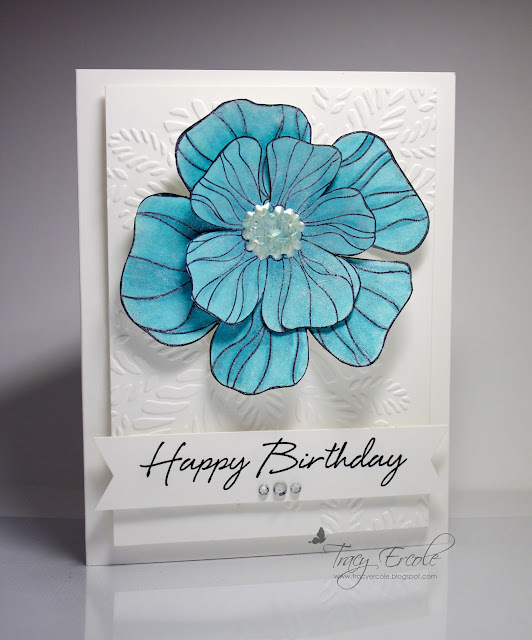 I used the large & small striped flower stamp from Hero Arts and the sentiments is from their Say It All set. Stunningly beautiful CAS card - gorgeous colour too!